Transmitters independently open 4 doors OR 2 doors and raise and lower one window. Designed to neutralize the transmitters when ignition is on. 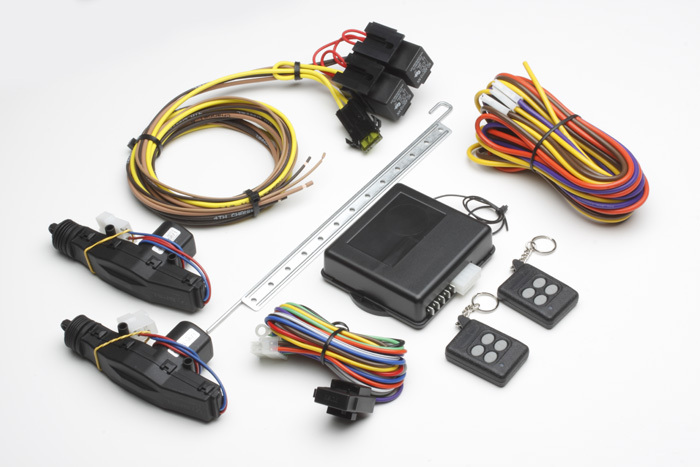 Kit includes two key chain transmitters, receiver, relays and easy to follow instructions.